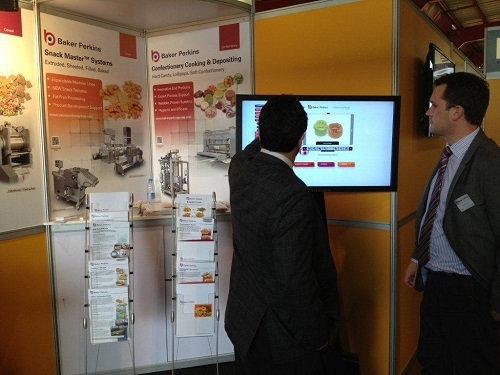 Hygienically designed forming machines with improved performance were highlighted by Baker Perkins at Propak Africa in Johannesburg from March 12 to 15, 2013 (Courlanders Agencies stand J12/K7). Baker Perkins provides a complete processing capability for biscuits, cookies and crackers. The company has more than a century of know-how in the supply of systems to make every variety of biscuit, with equipment at work in over 80 countries around the world. Baker Perkins is continuously looking for ways of improving performance while making the machines easier to operate, clean and maintain. Today’s automatic plants harness the latest engineering and control technology to maximize performance while making machines more reliable and efficient, and easier to operate, maintain and clean. Baker Perkins offers a range of best-in-class unit machines in each key technology of the biscuit making process. HS mixers give thorough dispersion over full range of hard and soft dough. The forming machine range gives includes rotary moulders, rotary cutters and wirecuts. These machines are designed to meet all the latest industry guidelines on hygiene. Every detail is engineered to minimize debris accumulation and improve visibility and access to make thorough and effective cleaning as easy as possible. Components can be removed and replaced for cleaning without tools. Ovens are available to meet every baking need, and added-value options include a choice of sandwiching system.